Born in Seattle into a musical family, cellist Julian Schwarz is already being recognized as a cellist destined to rank among the finest of the 21st century. Mr. Schwarz made his orchestral debut at the age of 11 playing the Saint-Saens Concerto No. 1 with the Seattle Symphony with his father, Gerard Schwarz, on the podium. Since then, he has appeared with the Seattle, San Diego, Puerto Rico, Columbus (OH), Syracuse, Virginia, Sarasota, Grand Rapids, Omaha, Wichita and Modesto symphonies among others, and performed recitals at the Casals Festival in Puerto Rico and in Palm Springs. He also appears regularly on the stage of Bargemusic in New York City playing chamber music and recitals with his regular recital partner, pianist Marika Bournaki. Mr. Schwarz’s recent and upcoming performance highlights include debuts with the Charlotte, Des Moines, West Virginia, Chicago Camerata, Toledo, Amarillo and Washington/Idaho symphonies, The Louisville Orchestra and Symphony Silicon Valley in San Jose; return engagements with the Hartford and Boca Raton symphonies and the Northwest Sinfonietta; and recitals in Palm Springs, Washington, DC, Pennsylvania and Nova Scotia. Internationally, he made his Australian debut with the Queensland Symphony in Brisbane as well as his debut in Hong Kong appearing at the Intimacy of Creativity Festival. He also returned to the Boca del Rio Orchestra in Veracruz, Mexico and made his debut with the Mexico City Philharmonic in June 2016. No stranger to summer music festivals, Julian Schwarz has attended and performed at the Aspen, Interlochen, Eastern, California Summer and Encore music festivals. He has been the “Featured Young Artist” at both the Seattle Chamber Music Festival and the Cape Cod Music Festival and was chosen to participate and perform at the prestigious Verbier Festival in Switzerland. 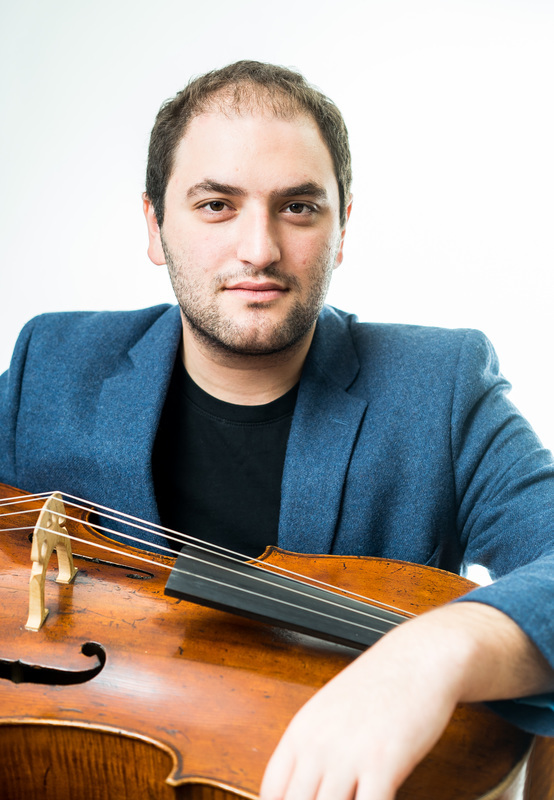 A member of the cello faculty at the Eastern Music Festival in North Carolina, he has performed the Brahms Double and the premiere of a concerto by Richard Danielpour, “A Prayer For Our Time,” with the festival orchestra. During the summer of 2016, he performs the Dvorak Cello Concerto with the same ensemble. In August 2012, Julian Schwarz recorded the Samuel Jones Cello Concerto, which was written for him, for PBS television with the All Star Orchestra (subsequently released as a DVD on Naxos). Mr. Schwarz’s other recordings for Naxos include Bright Sheng's "Northern Lights", “In Memoriam” for the Music of Remembrance series and the Saint-Saens No. 1 and Haydn C Major cello concertos with the Seattle Symphony. Mr. Schwarz's duo recordings with Marika Bournaki include the complete cello/piano works by Ernest Bloch for the Milken Archive of American Jewish Music, and a duo recital disc to be released in late 2016. Julian Schwarz started piano lessons at the age of five and began his cello studies the following year with the late David Tonkonogui; subsequent teachers include Toby Saks, Lynn Harrell, Neal Cary and Ronald Leonard. He received his Bachelor of Music degree from The Juilliard School in New York City in May 2014 where he studied with Joel Krosnick, and his Master of Music degree, also at Juilliard, in May 2016. During the 16/17 season he will serve as Mr. Krosnick's teaching assistant. In August 2013, he was awarded first prize in the professional cello division of the inaugural Alice and Eleonore Schoenfeld International String Competition in Hong Kong. He currently performs on a cello made in Naples by Gennaro Gagliano in 1743, and is an active contributor to the Strings Magazine Artist Blog.